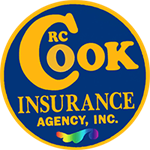 Get your free aviation insurance quote from RC Cook Insurance. Call 330-296-3628 for more information. We're located in Ravenna, OH. Do you need coverage for you Aircraft? Need a quote to fly ?? You're at the right place. Our owner is a Private Pilot and holds A BS in Aviation from The Ohio State University. Click the link above and we will get your quote and notify you using the information you enter on the application. We can not bind or change existing coverage online or by email.